Hello everyone! 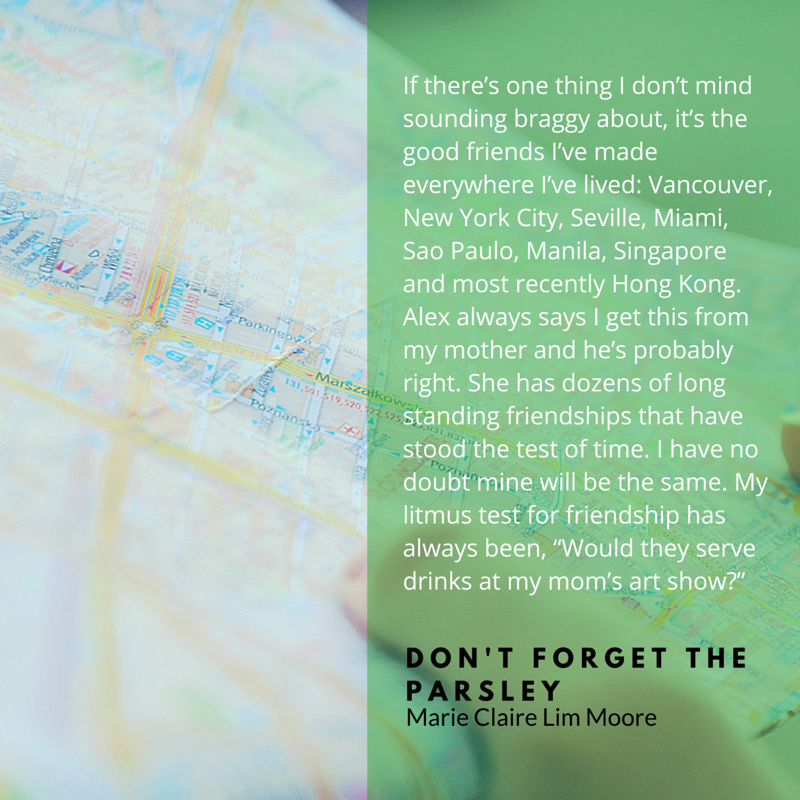 Welcome to my stop of the blog tour for "Don't Forget the Parsley", a memoir written by Marie Claire Lim Moore. In this blog, I am going to share with you an excerpt from the book, plus a giveaway! I read the book and I just couldn't put it down. It is inspirational, relatable, has a good sense of humor and makes you feel like you would want to be a part of their family too. 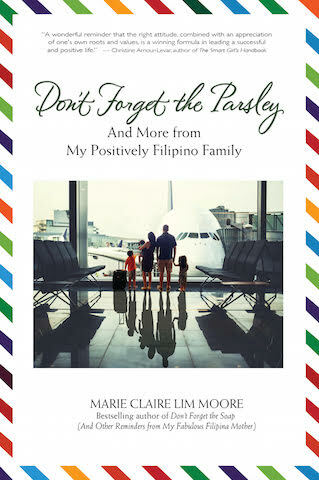 I think Filipinos who live overseas must ready this book, it gives you a totally fresh perspective on how to approach life. I have learned the litmus test in this book and now, I'm applying it in my life. Thank you Claire for writing this book! Okay, I'll stop here. Let's get this blog tour started! Shall we? While my father’s constant rule breaking and envelope pushing has given my mother more than a healthy level of stress, even she has to admit that the family has benefitted from his unabashed approach on at least a few critical occasions, most notable being their immigration interview for Canada.